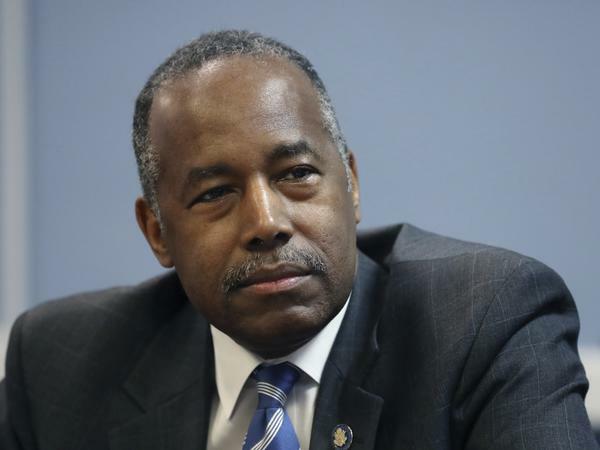 Ben Carson, the Housing and Urban Development secretary, said the Obama-era Affirmatively Furthering Fair Housing rule "impeded the development and rehabilitation of affordable housing." In a statement, Carson said the Affirmatively Furthering Fair Housing (AFFH) rule, enacted during the previous administration, "often dictated unworkable requirements" adding that the rule was also "suffocating investment in some of our most distressed neighborhoods." "We do not have to abandon communities in need. Instead we believe we can craft a new, fairer rule that creates choices for quality housing across all communities," Carson said. The 2015 AFFH rule was implemented to strengthen the landmark 1968 Fair Housing Act. The rule, which required communities and local governments receiving federal funding to submit fair housing assessments, was a way for HUD to ensure recipients were following the law and actively working to eradicate historical discrimination and segregation practices in housing. The changes encompassed in the rule were recommended by the Government Accountability Office and by HUD itself. "Since issuance of the final rule, however, HUD has concluded that the current regulations are ineffective in helping program participants to meet this obligation," according to a HUD's rule change proposal. As it explores the rule change, HUD is also accepting comment from the public for the next 60 days. HUD officials also said informal listening forums will be held to get input from city planners, public housing authorities, housing advocates authorities and other stakeholders on the pending rule change. The push by current HUD officials to undo the Obama-era AFFH rule has been expected for some time. In January, the housing agency announced it was suspending local governments' obligation to comply with the rule until late 2020. In May, HUD nixed a computer assessment tool which was supposed to help municipalities submit housing data and ensure they were complying with the federal laws. HUD said at the time "the Local Government Assessment Tool was confusing, difficult to use and frequently produced unacceptable assessments." Earlier that month, a group of fair housing advocates filed a suit to compel Carson and HUD to implement the 2015 AFFH rule. Madison Sloan is the director of Disaster Recovery and Fair Housing with Texas Appleseed, one of the plaintiffs in the suit against HUD. "This notice is part of HUD's continuing attempt to gut the Fair Housing Act, allowing public money to fund discrimination and segregation in violation of the law," Sloan said in a statement.